The Left Bank Village is becoming well-known as a premier music venue in Herefordshire. Regularly hosting acclaimed and experienced acts, we have strong connections with the live musicians of Hereford. Every Friday night upstairs in De Koffie Pot is a live music night. Come and enjoy your favourite tipple and boogie on down. You will hear genuinely fresh sounds from a plethora of up and coming musicians or sometimes be thrown back in time by music from the stars of yester-year. Saturday nights regularly see big acts such as Remi Harris and Lonesome Stampede hit the river terrace floors in the main building. The Wild Hare Club is The Left Bank’s favourite music appreciation club and they hold events at The Left Bank and draw in exciting talent and lots of fans. And who could forget the recent surprise appearance of Robert Plant at a Deborah Bonham gig at The Left Bank. I know I won’t! Every Saturday during the summer months, you’ll find buskers on the bandstand. 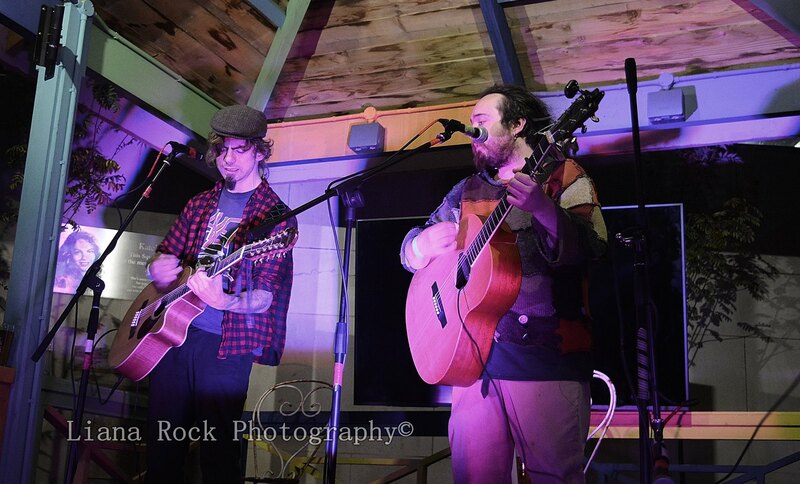 Get those rattly coins out of your pocket and pop them in the hat, because these guys create a wonderfully chilled and melodic vibe on the riverside courtyard. Our Speakeasy nightclub in lower ground floor of The Left Bank has a varied line-up of up and coming underground music DJs playing the latest trends from the House, Drum and Bass and Garage scene.